Uruguay vs Russia World Cup match is another one match of the group A in this tournament. This is the third round and this match will take venue at Samara Arena, Stadium in Samara, Russia. 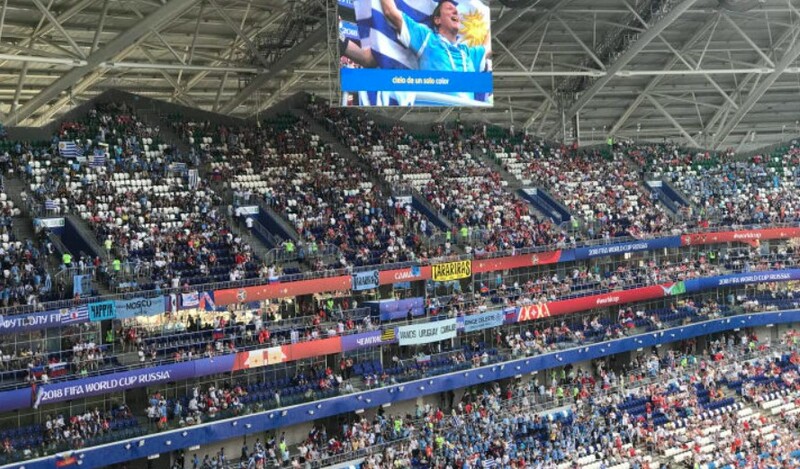 Uruguay vs Russia match starts time, fixed at 18:00 Local time (6 pm). Russia and Uruguay are standing at the first and second place in the table. The host nation surprised all the audience by giving their best in previous matches in the World Cup tournament. Russia is one of the nations which stands at the lowest position in the FIFA ranking is notable. Uruguay defender Jose Maria Gimenez will not be played in this match due to his right thigh injury. While Tabarez would not reveal on Sunday who would replace the Atletico Madrid defender. Uruguay had only one win against Russia lastly in World Cup 1970. However, Russia also have lost their each of last four meetings in the World Cup over South American national football sides. Prediction: Nicholas saying that the match will end up with the final result score of Uruguay 2-1 win against the tournament host Russia. Both of these two sides have won their first two games in the group stage and earned 6 points each. For more information about Uruguay vs Russia match, go to FIFA official website and get latest updates.